At first, it was the Beats in the Fifties — Allen Ginsberg, Jack Kerouac and their loose collection of friends and hangers-on who sparked the idea for a new and liberated generation. Then, the black-and-white Fifties quickly gave way to the colorful and swinging Sixties. Led by the Beatles, Bob Dylan and the Rolling Stones (among others), the youth of the day were set afire with the desire for widespread social transformation. The old guard was no longer relevant. The baby boomers wanted everything, and they wanted it now. For a few years, it seemed that it might actually happen. Communes were springing up across the land as hundreds of thousands of young people hit the road in search of the new world. 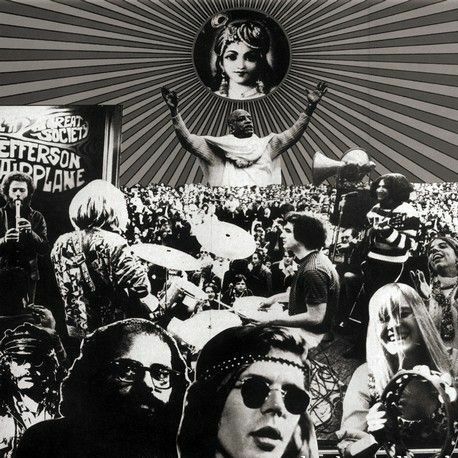 Migrating like geese flying south for the winter, legions of youth landed in the Lower East Side of New York and the Haight-Ashbury in San Francisco, trying to make the cosmic connection that would answer all questions and solve all problems. The great search was on. India became a Mecca for spiritual seekers and the stage was set. Amidst the chaos and turmoil of the Sixties here in the West, Srila Prabhupada quietly set sail for New York (from Calcutta) in 1965. Without money or support, he depended solely on the mercy of Lord Krishna to bring the message of Godhead to the bewildered and suffering peoples of the world. From his first official temples in the middle of the new “hip” communities in New York and San Francisco, Prabhupada ignited a spiritual revolution that swept across the globe at lightning speed. Meanwhile, despite the original sense of hope kindled by the emerging groupthink of the day, the idealism once prevalent among the youth began to fade as drugs and negativity took over the scene. Soon the love-ins were marred with overdoses and violence, and the flower power generation mutated into a myriad of troubled offshoots and subcultures. The dream was over, or at least it was dying fast. By the grace of the Lord, Srila Prabhupada arrived to perfectly fulfill the lofty aspirations of the love and peace movement. 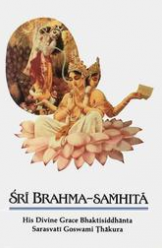 Prabhupada brought the authorized spiritual solution — “The Yoga of Love” and “The Peace Formula” — direct from India. Now this was truly hip: a real live swami wearing robes and chanting a holy mantra for peace! Not only that, but Prabhupada was right there in the Lower East Side of New York in 1966 and in Golden Gate Park during the “Summer of Love” in 1967. 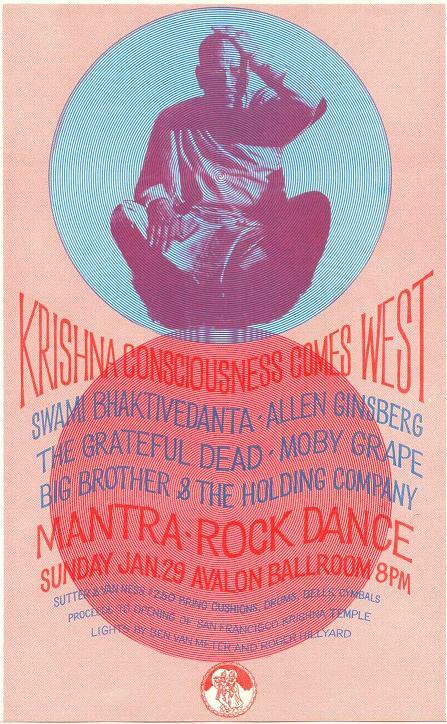 In San Francisco, he even attended a Mantra Rock Dance at the famous Avalon Ballroom with the musical and cultural heroes of the day — the Grateful Dead, Moby Grape, Janis Joplin and Big Brother, Jefferson Airplane, Quicksilver Messenger Service, Allen Ginsberg, Timothy Leary, Owsley Stanley, the Hell’s Angels, etc. Later in England, John Lennon hosted Srila Prabhupada and some of his disciples at his home in Tittenhurst Park, and George Harrison helped to produce the hit single “The Hare Krishna Mantra.” As the counterculture crumbled, Srila Prabhupada’s spiritual revolution blossomed. Srila Prabhupada demonstrated that eternal knowledge is relevant and applicable to any time, place or circumstance. By his pure devotion and desire, Prabhupada was — and still is — fully empowered to help us overcome our differences and unite us all. This, in a nutshell, is the real spiritual solution not only for the problems of the world — but for the Hare Krishna movement itself.